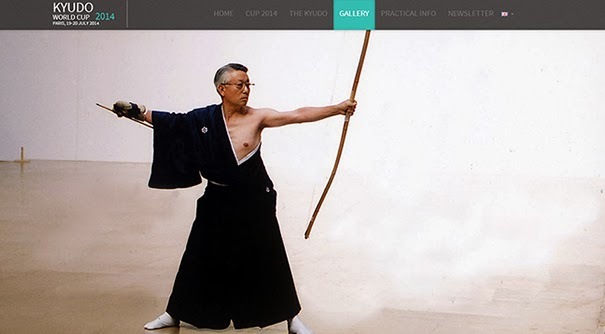 Kyudo world cup website, www.kyudo2014.org. One of the most interesting event for Kyudoka next year is the Second Kyudo World Cup. This event will be on 19-20 July 2014 at Jean Sarrailh University Sports Center in Paris France. It has been 4 years after the first world cup end in 2010 at Tokyo, Japan. (France won the gold medal) The kyudoka's skill, perfection of shooting movement, concentration and more will be put in to test. More information can be checked through www.kyudo2014.org.